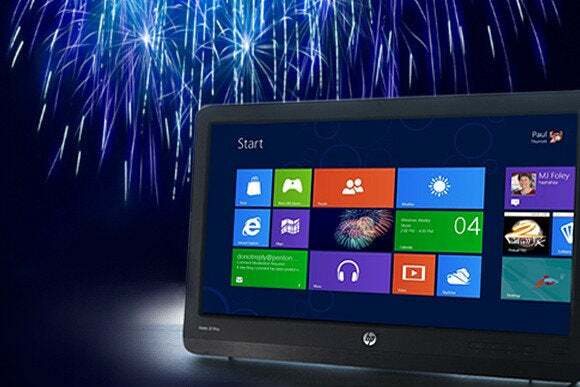 Independence Day may be largely an outdoor affair, but your PC or Surface can still play a role in planning your day. If you’re running Windows 8.1 on a tablet or traditional PC, the Windows Store has a number of apps that can help you prepare for your day. You need to know just how hot it’s going to get during the barbecue, or if rain is threatening your city’s fireworks display. 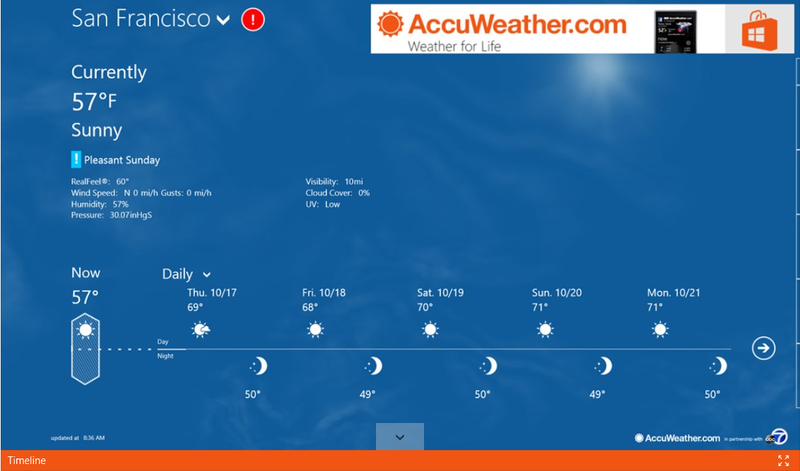 A Metro-ified weather app is a must-have. 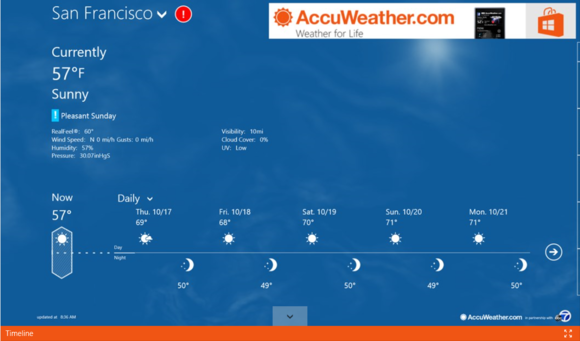 There are several big-name weather apps in the Windows Store, but two of the top-rated ones are from Accuweather and The Weather Channel. 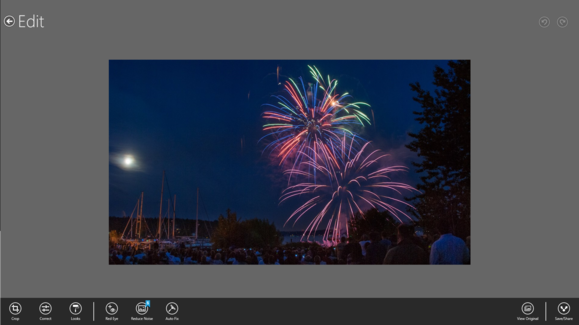 Adobe Photoshop Express for Windows 8.1. Most avid photographers have committed to a specific photo-editing tool. But for everyday use, such as to enhance snaps from a smartphone or basic point-and-shoot, Adobe’s free Photoshop Express for Windows 8 should fit the bill. You can do the basics like crop, rotate and remove red eye. You can also make images pop by adjusting contrast and vibrance. To learn how a basic camera can take stunning shots of fireworks displays, also check out TechHive’s tutorial on how to shoot great fireworks photos with any camera. So CookBook for Windows 8.1. A popular choice for finding out what to cook and how to cook it is Allrecipes (free, and my editor loves this app, too). Allrecipes allows you to search for recipes based on ingredients and dietary preferences—perfect for finding dishes to make for your vegan friends in a pinch. The $5 iCookbook app offers a recipe selection curated by a team of editors and nutritionists. 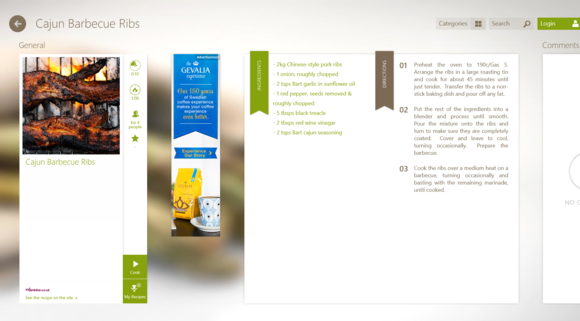 Then there’s Microsoft’s own Bing’s Food & Drink, which is especially handy for anyone with a Windows tablet. The app features a hands-free mode that lets you navigate recipes by waving your hand in front of your tablet’s webcam.